1979 G. Mascarello Barolo Monprivato ? This incredible tasting of Barolos from Giuseppe Mascarello - originally conceived as a survey of the Michet clone of Nebbiolo - spanned five decades going back to 1967, and included a number of benchmark wines such as the 1970, 1982, 1985, 1989 and 1990 Monprivatos plus a complete vertical of the estate’s Barolo Riserva Monprivato Cà d’Morissio. Virtually all of the older vintages were shipped over from the estate, which made this afternoon quite special, as provenance was unparalleled. Proprietor Mauro Mascarello and his son Giuseppe were on hand to lend their commentary to a group of Barolo aficionados that included sommeliers from a number of New York City’s very finest restaurants. 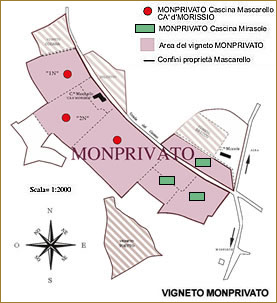 Mascarello’s Barolo Monprivato remains largely an insider’s wine. Oddly, that wasn’t always the case. Twenty years ago, Monprivato was widely considered one of Piedmont’s most prestigious Barolos, and commanded a price to match. In the mid-1980s and early 1990s the modernist movement began to sweep through Barolo, bringing with it considerable attention to a group of passionate young producers who challenged many of the long-standing assumptions on how Barolo should be made, both in the vineyard and in the cellar. The modern-style Barolos were exuberant, flashy wines that attracted a new generation of wine lovers and in so doing created more buzz and sheer excitement than Piedmont had ever experienced. Sadly, the accolades these Barolos received came at great expense to the wines of more traditional producers rather than being viewed simply as different and equally valid expressions of the multi-faceted Nebbiolo grape. Barolo (and Barbaresco, too) was in the midst of nothing less than a revolution. To be sure, some of the traditionally-minded wineries needed a wake-up call; their yields were too high, the barrels often dirty and the cellars unkempt, all of which were reflected in wines of uneven quality. A handful of estates though, including Mascarello, lost an enormous amount of visibility despite boasting a decades-long track record of exceptional wines. Today, modern and traditional styles have largely converged as producers learned to take the best from both approaches. Along the way Mauro Mascarello continued to make noteworthy Barolos in a rigorously traditional fashion and, as a result, Piedmont fans are rediscovering this once-neglected property. Even though the Mascarello winery went through a period of obscurity, I always find it fascinating that the current generation of younger producers often speaks with great respect and reverence about Giuseppe Mascarello, the man and winemaker. Pricing has moved slightly over the years such that until very recently Monprivato was arguably the most undervalued Barolo among the region’s cellar worthy, iconic wines. I have long been a fan of Mascarello’s 1970 Barolo Monprivato. It is one of the greatest wines ever made…in any region. I was completely blown away when I first tasted the wine a number of years ago. Still youthful at nearly 40 years of age, it remains a true monument to the glories of Piedmont and Nebbiolo. As it turns out the 1970 Barolo Monprivato was the genesis of this tasting because it represents an inflection point in the history of the Mascarello winery. The first Barolo Mauro Mascarello made at his family’s winery was the 1967, another wine that is legendary. Mascarello crafted the 1967 Barolo just as his father had done before him, blending fruit sourced from three vineyards; Monprivato, Villero and Bussia Soprana. The conventional wisdom at the time held that the most complete and complex Barolos were those that combined elements from various sites. Some vineyards were known for their aromatics, others for their fruit and yet other plots were highly regarded for the structural elements they imparted on the wines. But Mascarello yearned for something more. He wanted to make a single-vineyard Barolo, and he thought his Monprivato vineyard was that rare site that could express all of the facets of Nebbiolo on its own. It took a few years of convincing, but Giuseppe Mascarello finally relented and let his son Mauro make a single-vineyard Barolo in 1970. He also gave Mauro a very valuable piece of advice in directing him to the very best fruit in the Monprivato vineyard. If Mauro was hell-bent on making this wine, Mascarello senior reasoned, he might as well use the parcel in the heart of the vineyard planted with the rare Michet clone, which was known to yield wines of extraordinary power, richness and longevity. Michet, believed by some observers to be a diseased strain of the more common Lampia clone, is naturally low-yielding and late to ripen, because of the genetic mutations it carries. Mauro Mascarello’s grandfather, Maurizio, planted the first Michet clones in his Monprivato vineyard in 1922. 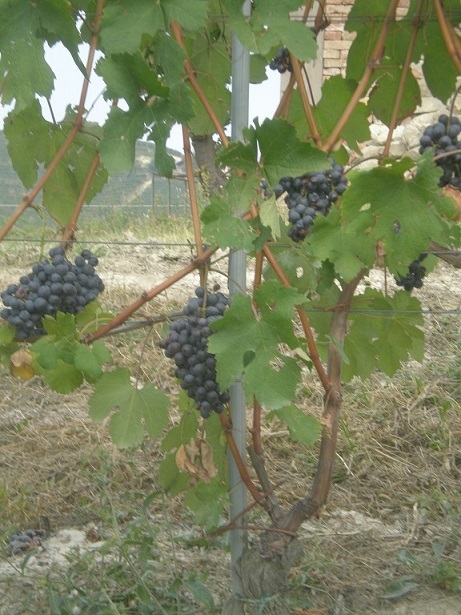 A second parcel of Michet was planted by Giuseppe Mascarello in 1963 using the best-performing plants from the original plot, a process known as selezione massale. Mauro Mascarello himself planted the third and fourth selections later, in 1988 and 1994 respectively. Neither Mascarello could have ever predicted how successful Mauro would be. The 1970 Barolo Monprivato turned out to be the archetype for two wines; the modern-day single-vineyard Barolo Monprivato as well as the 100% Michet Barolo Monprivato Riserva Cà d’Morissio, a wine Mascarello finally produced in 1993 after 23 years of research that in reality dates back to vines his grandfather first planted more than 70 years before. For reasons that aren’t entirely clear, after 1970 the Michet-only Monprivato was not made again until 1993. This tasting covered all of the Michet Monprivatos plus a number of other reference-point Barolos, just to round out the line-up. Today, Mascarello typically harvests his Nebbiolo in the second half of October. Fermentation and maceration are carried out with indigenous yeasts and last about three weeks. 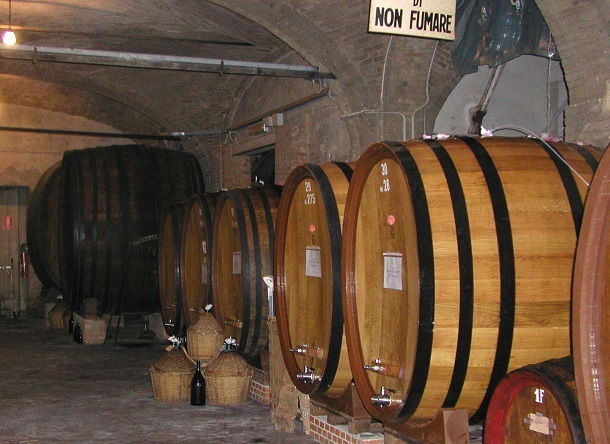 The wines are aged in cask for roughly three and half years (for the Monprivato) to four and half years (for the Cà d’Morissio). Mascarello only makes the Cà d’Morissio when he feels the wine is sufficiently different from his Monprivato to warrant a separate selection, a decision he typically takes just prior to preparing the wines for bottling. So far five vintages of Cà d’Morissio have been released; 1993, 1995, 1996, 1997 and 2001. The 2003 will be released in 2010, followed by the 2004. There will be no 2005 Cà d’Morissio. The 1993 Barolo Riserva Monprivato Cà d’Morissio opens with gorgeous aromas of roses, flowers and sweet spices. It remains a medium-bodied, focused Barolo on the palate, showing terrific energy and focus. Sweet, silky tannins round out the finish. The 1993 is a relatively two-dimensional Cà d’Morissio, yet the wine offers commendable balance and harmony. 92/Drinking window: 2009-2023. The 1995 Barolo Riserva Monprivato Cà d’Morissio is incredibly rich, powerful and young. Dark cherries, minerals and flowers come to life as this dense Barolo opens up in the glass. An array of tobacco, smoke and licorice nuances linger on the eternal finish. This youthful Barolo is undoubtedly one of the stars of the 1995 vintage in Piedmont. The wine is approachable today, but will be even better with another few years in bottle. 94/Drinking window: 2010-2025. Mascarello’s 1997 Barolo Riserva Monprivato Cà d’Morissio is a stunner. A ripe, exotic wine, it flows onto the palate with an array of sweet fruit, licorice, tobacco and spices. The hot vintage yielded a soft, seamless Barolo backed up with the structure these white, poor soils always provide. By any measure the 1997 Cà d’Morissio is nothing short of extraordinary. This sensual Barolo is simply thrilling from both a hedonistic and intellectual standpoint. 97/Drinking window: 2009-2037. Minerals, smoke, earthiness, tar and leather are just some of the nuances that gradually emerge from the 1996 Barolo Riserva Monprivato Cà d’Morissio. In 1996 Cà d’Morissio is especially masculine and virile in its expression, yet the wine also achieves a remarkable level of definition and clarity. The style here is a touch more elegant than the 1996 Barolo Monprivato. The 1996 Cà d’Morissio is sublime, and has to be considered a modern-day masterpiece from Mascarello. This is a stunning bottle! 97/Drinking window: 2011-2036. The 2001 Barolo Riserva Monprivato Cà d’Morissio comes across as almost Pinot-like in its intensely perfumed expression of red fruit. Roses, sweet herbs, spices and balsamic nuances emerge over time, adding further complexity. The 2001 is an especially refined, elegant version of this Barolo. I expect that over time the 2001 Cà d’Morissio will put on additional weight, as Mascarello’s wines often do. The 2001 Cà d’Morissio is another beautiful and highly promising young Barolo from Mauro Mascarello. 96+/Drinking window: 2011-2031. Mascarello’s 1982 Barolo Monprivato is perfumed and ethereal in the way it literally floats on the palate. Sweet, silky tannins frame a pretty core of fruit as this sublime Barolo opens up in the glass. As beautiful as the wine is, this is not the very finest bottle of the 1982 I have had. Still it is gorgeous, and well-stored examples should deliver much pleasure for at least another decade. 94/Drinking window: 2009-2019. The 1985 Barolo Monprivato is breathtaking today. Though not the most complex or layered Monprivato to emerge from these cellars, the 1985 boasts a full-bodied, opulent expression of fruit that is impossible to resist. There is terrific richness and density in the glass that makes it very difficult to move on to the next wine. Although I usually prefer the 1982 when it is served next to the 1985, in this tasting it is the 1985 that delivers the most complete drinking experience. Well-stored bottles of the 1985 should be treasured by those fortunate enough to own them! It is remarkable juice. 95/Drinking window: 2009-2019. Mascarello’s 1989 Barolo Monprivato is one of the all-time legendary wines from Piedmont. It is easy to see the linkage between 1989 and 1996, two of the greatest vintages ever to grace the region. The 1989 Barolo Monprivato is simply captivating as layers of sweet roses, minerals, spices, licorice and flowers come together in the glass. The wine is ultimately about balance; elegance and power, structure and accessibility – they are all on full display in this magical Barolo. 97/Drinking window: 2009-2029.The 1990 Barolo Monprivato is another of the wines that dazzles. It is a rich, expansive Barolo that blossoms on the palate with extraordinary richness and density. The 1990 is at once powerful yet delicate, qualities that are generally found in the finest Monprivatos. The sublime, elegant finish lasts an eternity. 97/Drinking window: 2009-2024. The 1974 Barolo Monprivato is one of the smaller-scaled wines in this tasting. Sweet herbs, tobacco, licorice and flowers emerge from this mid-weight, fully resolved Barolo. Although mature, the wine retains a surprising level of freshness, a hallmark of the poor soils of the Monprivato vineyard. Ideally, the 1974 is best enjoyed over the near-term, although well-stored bottles might keep for a few more years. 90/Drinking window: 2009. The 1978 Barolo Monprivato bursts from the glass with stunning richness and intensity, coating every inch of the palate in dramatic fashion. It remains a vibrant, youthful Barolo that is one of the finest wines made in one of Piedmont’s most historic harvests. This particular bottle is not the finest I have had, but it is still impressive. At its best, the 1978 is an utterly magical, spellbinding Monprivato. 95/Drinking window: 2009-2023. Mascarello’s 1979 Barolo Monprivato offers up spice cake, plums, prunes and tobacco. Both bottles are not quite as fresh as others I have tasted. To be sure, this is a relatively compact vintage, but at its best the 1979 is still a delicious, fresh Monprivato with at least a few more years of fine drinking ahead of it. ?/Drinking window: 2009-2014. This is the first time I have run across the 1981 Barolo Monprivato and I can only say I am deeply impressed! In fact, the 1981 is one of the great revelations of this tasting. It is a rich, full-bodied Barolo packed with dark fruit, showing remarkable intensity as well as balance. The 1981 is not one of the more complex Monprivatos but it is stunning for its weight and concentration, both qualities which should allow it to drink beautifully for at least another decade. 92/Drinking window: 2009-2019. The 1967 Barolo is simply off the charts. There is an extraordinary level of fruit to be found in the glass, along with subtle notes of plums, prunes and sweet balsamic spices that develop over time. Still rich and expansive, this generous Barolo is intensely beautiful. The 1967 Barolo remains one of the house’s very finest all-time wines. It also captures an early transitionary period, as it was the first Barolo Mauro Mascarello made, although his father was still intricately involved. At the time, the family still made their Barolo from a combination of vineyards, a traditional approach which sought to combine the strengths of various sites. Sadly, this custom has long been abandoned by all but a tiny handful of producers, yet every time I taste Mascarello’s 1967 Barolo and other first-class wines from this generation I often wonder what such a Barolo might taste like today with a contemporary approach to viticulture and winemaking. The 1967 Barolo is a blend of 45% Monprivato, 25% Villero and 30% Bussia Soprana, and the clonal blend is roughly 20% Michet, 50% Lampia and 30% Rosé. If I could only drink one Mascarello wine, it might very well be the 1967 Barolo. At 42 years of age, it is still breathtaking juice! 96/Drinking window: 2009-2019. The 1970 Barolo Monprivato is another of Piedmont’s legendary, icon wines. Amazingly, it remains incredibly dense, primary and full of fruit. It’s hard to know what to say about this grand, majestic wine except that it may very well prove to be immortal. Today all of the elements are in perfect place. The only thing the wine might need is more time! I wonder how many bottles will be around when the 1970 Monprivato finally peaks. Although opening a bottle today may seem to be a crime, Barolo lovers who have access to the 1970 Monprivato will not want to pass up an opportunity to taste this monumental, towering wine. 97/Drinking window: 2009-2029. The 1971 Barolo Monprivato is from a much more important vintage than the 1970, but here the entire surface of the vineyard was used, meaning the wine is composed of various clones. The 1971 is a soft, floral and delicate Barolo with tons of class. Clean, mineral notes define the long and supremely pure finish. As great as the wine is, it can’t match the profound 1970. That said, the 1971 is still in magnificent shape. 94/Drinking window: 2009-2019.